Now that she’s retrieved the Staff of Lore, Captain Alisa Marchenko can finally dedicate herself and her ship to finding her kidnapped daughter. Her scant clues lead her to Cleon Moon. Unfortunately, since the fall of the empire, mafia clans have taken over the domed cities on the harsh moon, and exploring there isn’t easy. Even with the cyborg Leonidas at her side, Alisa struggles to survive vengeful mafia clans, rogue Starseers, and genetically engineered predators. To further complicate matters, she must worry about the ancient relic hidden on her ship, a beacon to anyone in the system who craves its power. 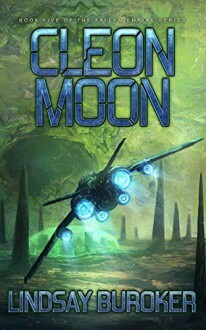 If Alisa can’t navigate the moon’s chaos, she may lose her only chance to catch up with her daughter.